A couple of years ago Nick gave me a sous-vide circulator for Xmas. I have to admit I used it a few times and then pretty much put it away; I like the things chefs manage to do with sous vide cooking (sous vide squab is superb), but when I tried it myself it wasn’t much fun. 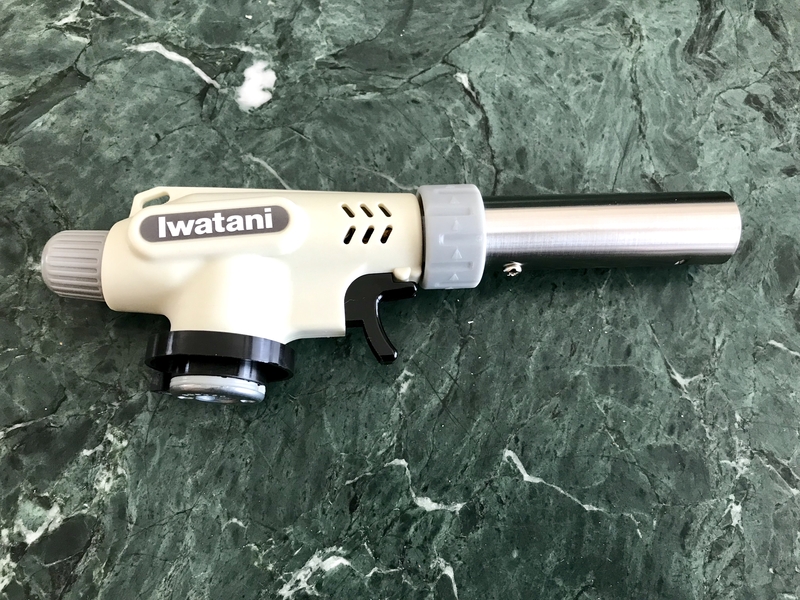 But along with the circulator Nick gave me this Butane Torch – so I could make the pale sous vide meat pretty with a quick sear. And while the circulator stays in the drawer, the torch pretty much lives on the counter. It’s a remarkably useful cooking tool. Chicken not burnished to a beautiful brown? Torch it! You want a little char on those marshmallows you’re floating on your cocoa? Bring out the torch. And if you’re tired of cleaning the mess on the stove each time you peel peppers -the torch is here to help. Of course it does all those ordinary tasks, like melting the sugar on your creme brulee and adding color to your meringue with astonishing ease. And should the spirit move you to make baked Alaska – the torch is far easier than the oven. This torch is easy to use – you just screw it onto a butane canister – and it costs less than $30. But if you have the kinds of friends who insist on nothing but the best, you might want to consider this sansaire searing kit. 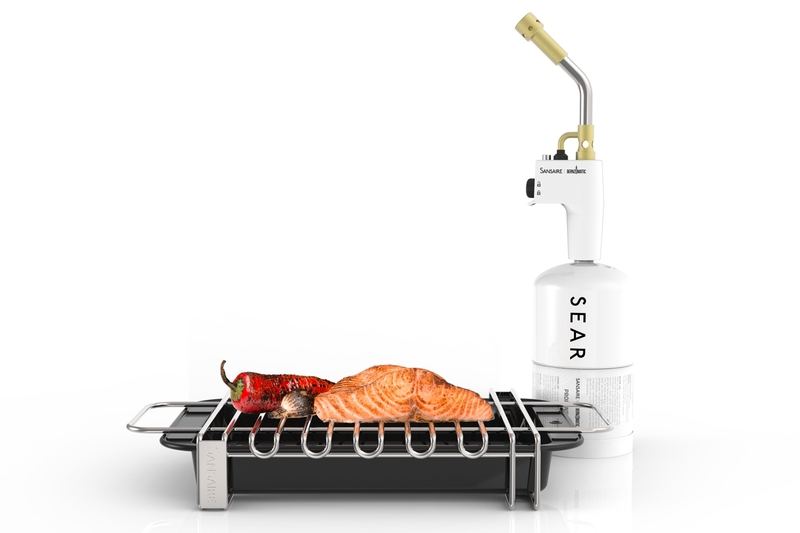 The flame roars up to 2200 degrees – and the torch comes with a rack so you won’t ruin your cutting boards. I haven’t tried it myself, but all the pros I know swear by it, and if you’re willing to spend almost $200, you might want to consider this for a very special friend.